Hardwood flooring is a popular choice when elegance and class are required. With its aristocratic appeal and a pleasant tapping sound when one walks on it, wood floors appeal to many. However what comes along these classy floors is the need for regular maintenance and if the need be refinishing. Maintenance of hardwood flooring is essential to keep it shiny and polished. Hardwood flooring polish wears off especially in high foot traffic areas and this gives the wooden flooring a dull appearance. 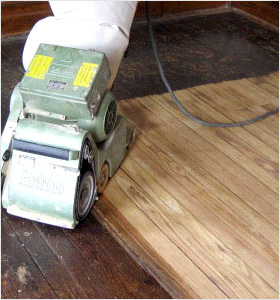 Sunbird Cleaning Services has an experienced wood floor restoration team at your service. Refinishing of wooden floors restores their lost beauty and shine. Is Wood Floor Refinishing Required? Wooden floors need refinishing if they lose their protective coating and polish. This can be tested by pouring some water on the surface of the floor. If the water forms small droplets, then the wooden floor still has an intact polish covering and a simple mopping would bring back its shine. If the poured water percolates into the floor and turns the wood a dark color, then the floor has definitely lost its polish and has to be refinished. Water based polyurethane - enhances look of hard wood floor and gives a warm glow to the floor. Oil based polyurethane - can be used on various types of finishes such as gloss, satin and semi-gloss. Refinishing of wood floor by Sunbird Cleaning Services consists of many small steps and the entire process can take many hours or sometimes even days; depending on the extent of damage the floor has been subjected to. The process begins with sanding of wooden floor with sandpaper. All scratches and small damages are removed and the floor smoothes. The floor is buffed and the dust particles cleaned. The stain is applied next if required. The floor is totally cleaned and exposed to good circulation of air. Once the stain is completely dry, the sealer is applied. The sealer protects the floor and gives it the shine and glossy look. The cost involved in refinishing of wooden floors depends on the extent of damage present on the floor. Less damage means just screening and coating of floor. This would naturally cost less than restoration of heavily damaged floor, which requires sanding and more than two coats of finish. The process is labor intensive and makes use of chemicals, stains, sealers etc to bring back the new look of the floor. 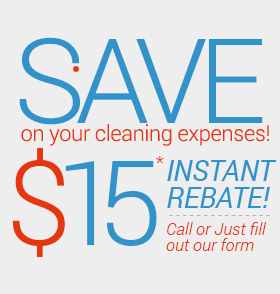 Sunbird Cleaning Services Charlotte Can Help You! Sunbird Cleaning Services has an experienced wood floor restoration team at your service. Our team of experts analyzes the floor condition and gives you an estimate of restoration work that needs to be done. Sunbird Cleaning Services plan and execute the work to perfection within the specified time and when within your budget. Call Sunbird Cleaning Services in Charlotte at 704-209-9333 and our representative will be glad to help you.